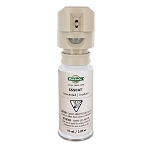 Now you can protect small areas and hardly know its there. 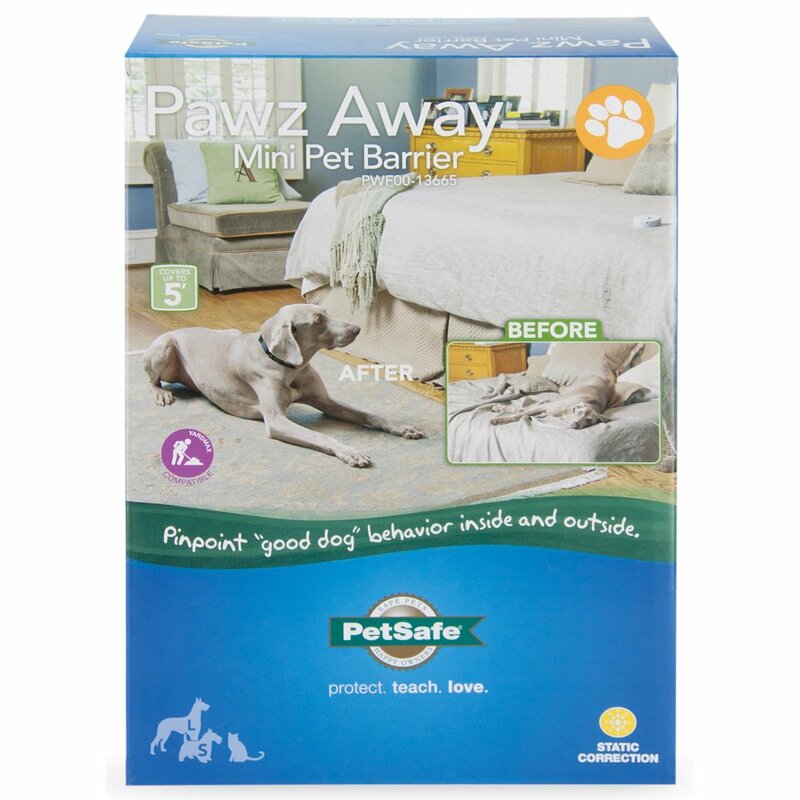 The Pawz Away Mini Barrier will teach your pets to avoid areas inside your home and outside in the yard. 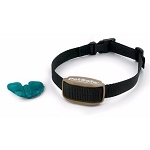 Collar adjusts to neck sizes 6" to 28"
I bought the Pawz Away Mini Pet Barrier for one of my cats to keep her from going out the doggie door as we have coyotes in our neighborhood. We tested the product beforehand like the instructions said, the collar worked. We put it on the cat and only ONE time did it deter her from going outside. After that she would just go through the door faster. The sensor must not sense the collar is within range before the cat is out the door. Overall, I would say it does NOT work and is not worth the money. Tried to isolate a room with this unit by placing it alongside a door jam. It only has a 30" radius for range. Therefore it will not reach across a normal doorway. Bummer :( This performance is also at it's highest range setting. This is where the battery life will be the worst. I also can't find reference anywhere to what that battery life might be. Overall not very happy yet. We'll give it a week and report back. The range at its max is limited to say the least and unless my cat is a beast the shocks are too weak to prevent her from standing next to the barrier while in effect. It said it had a radius of 5 feet but my cat was able to walk within 3 feet and get around it. I have it in the kitchen doorway to keep her out of the kitchen and she has jumped over the gate on the other side, approximately a 3.5 ft long gate. So it isn't that effective in keeping her out of the area. I had bought a regular sized cat barrier before and it worked well, but this one isn't working as well. We needed to keep one of our yorkies out while still letting our other yorkie to move in and out to access the doggie door. This was perfect! Worked like a charm. Crazy easy and very affordable. The cat size fit our tiny yorkie just fine. 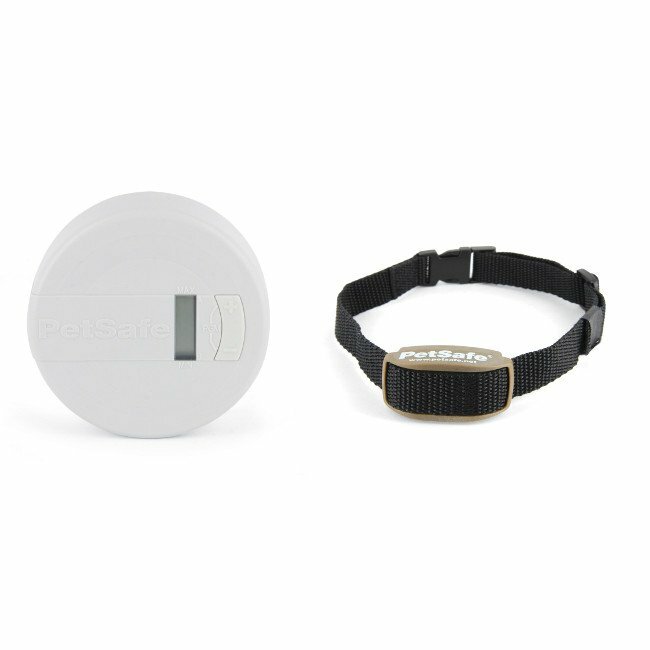 I purchased 2 collars and 2 sensors for my wheatens. I use one outside to keep them away from my patio furniture and the other one is next to my front door...since they clawed/scratched my old door whenever someone comes over. They work very well. However I don't think that they actually reach 5 ft as promised - more like 3.5 ft. 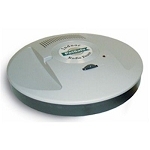 Sensors are small and discreet but definitely effective. For $100 with shipping I would highly recommend! I needed something to keep my cat inside as we have large dogs and a dog door for them. We have hada big problem with coyotes at night, and 3 neighborhood cats disappeared in 1 weekend including mine! Got a new , do not want him out at night! So at night he wears the collar and does not go out the door! Just wish the collar was a big smaller... It does not seem to bother him? But at only 4 months old looks pretty big on him! 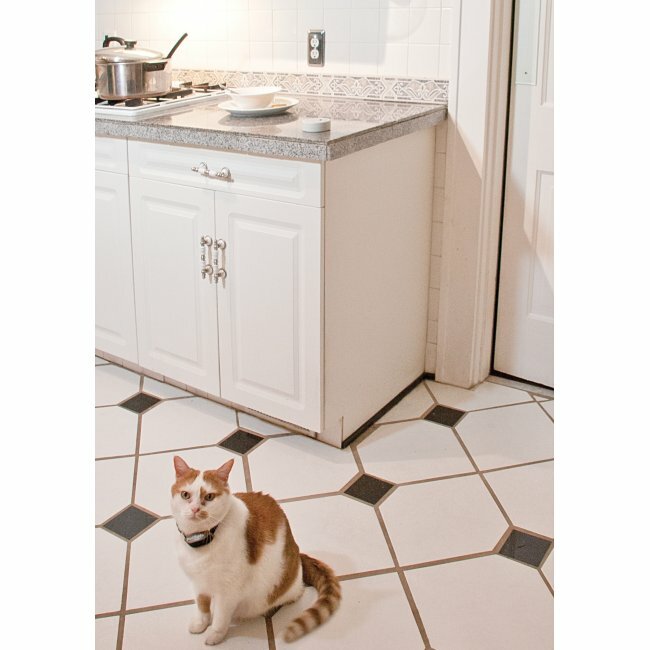 We purchased this Mini Pet Barrier to prevent our two cats from exiting through the dogie door when the dogs used it. Each cat attempted twice to go out with the dogs and that was it. Now they ignore the dogs use of the dogie door. The barrier works perfect. 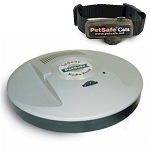 The collar is very wide for a cat but the biggest concern is that the "shock" activation seems to be hit or miss. Two metal prongs are supposed to make contact with the cat's skin under her neck. Well, sometimes she walks into the shock zone without a shock occurring and sometimes she gets a shock. It may also just be that the transmitter and receiver don't always work well together, either way, the end result is the same. After ordering, they gave me a USPS tracking number with a UPS web link. I need to contact their customer support to find out why I could not track the shipment.